Regardless of your budget range, you can enjoy using beginner drone which offers utmost flying experience with decent camera features as well. Here are the lists of best drones for beginners which come with a full feature set to make your flying experience marvelous and wonderful. When it comes to using recreating drone, one must make use of strict regulations and rules so that you can ensure flying the beginner drone in legal and safe manner. One of the affordable drones available for the beginners in present market is Altair Aerial AA108. This drone is extremely easy to fly because of its headless mode function & altitude hold function so it is considered to be the great choice for kids and beginners. If you are expecting for a cost-effective drone to start out as drone pilot then this drone option is the best choice for you. The AA108 drone is manufactured with high durability so it will never break when you met up with the accident. The user can switch between three varying flight models which are suitable for beginners, intermediates, and advanced flyers. Are you looking for the best drone with the affordable rate? If so, then Wizard X220 is the best choice. This drone is not only cheaper but also comes with the strong shell to safeguard your motor from extensive damage. Wizard X220 is available with two versions named ARF and RTF. Being a wonderful all-around quadcopter, it is manufactured with high-tech equipment & offers you fantastic flying experience which you want for. If you are a beginner & expecting for a complete experience then you can avail RTF version which includes both radio and battery. With extensive features of the drone, the user can have fun-filled experience while using it. The innovative Hubsan X4 provides you live video where you can easily view each and every movement with the aid of remote control. The FPV video feature of the drone facilitates it to fly easily. The X4 comes with the robust and light frame. 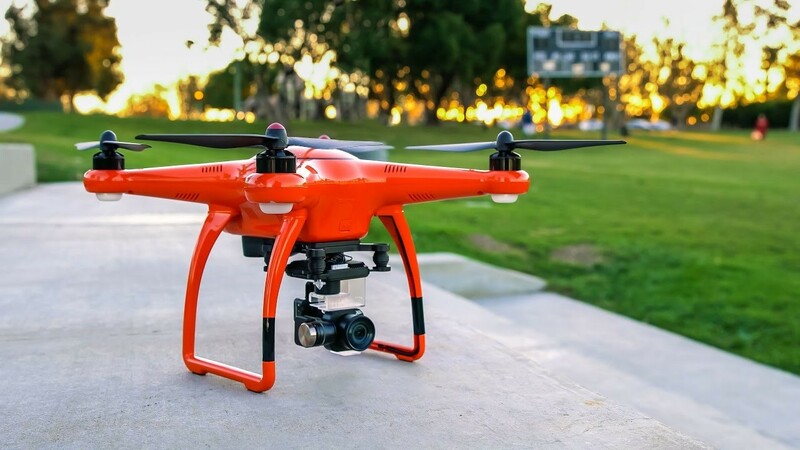 However, hubsan is renowned to manufacture top-notch quadcopters and the drone is designed well and it is a good choice for the beginners to handle it easily. This drone really comes with best features and wonderful live video so that you can stream directly. Furthermore, it has wonderful battery life for providing more hours of enjoyment and fun. The newly launched holy stone F181 is considered to be the most featured quadcopter which suits everyone budget range. From this drone, you can enjoy 2 mp HD camera, powerful flight with stabilization technology and highly responsive remote control. If you are searching for the full-featured flying drone in reasonable rate then this drone is considered to be the wonderful option. Holy Stone F181 offers wonderful balance for your price and value. This drone is specifically designed by keeping the users in mind. The manufacturers use latest features and technology in the drone to bring excellent end results. This drone is extremely affordable. This drone camera offers a stable and smooth flight for capturing videos and photos. This drone comes with two propellers set, two batteries as well as storage case to withstand everything in a quiet manner compared to its competitors.